Vincent R. Capasso joined the firm of Capasso & Associates LLC in 2013 after spending two years in the State of Hawaii where he was employed as the Staff Attorney for a non-profit legal services organization in Honolulu and later as a Deputy Public Defender in Hilo. 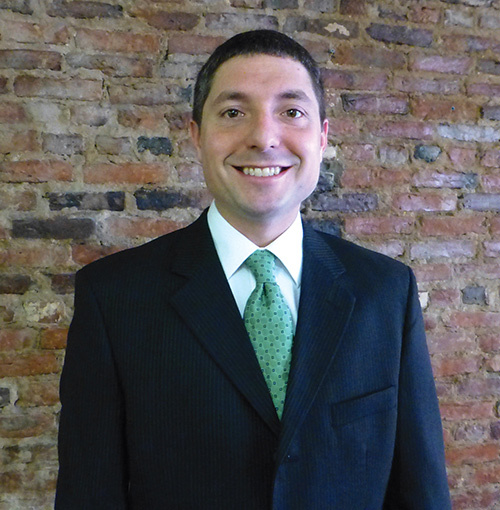 Mr. Capasso attended college at Wake Forest University in Winston-Salem, North Carolina before completing his undergraduate studies with a Bachelor of Arts degree (B.A.) in Philosophy in 2006 from Union College in his hometown of Schenectady, New York. Upon graduation from law school, he was awarded a Juris Doctor degree (J.D.) from Saint Thomas University School of Law in Miami, Florida in 2011. Mr. Capasso is admitted to the practice of law by the Bar in the State of Hawaii and the State of New York. He is thrilled to have returned to New York to practice law as an attorney at Capasso & Associates LLC. In recognition of his commitment to making a positive difference in our community by helping victims of domestic violence begin life anew, Vincent R. Capasso was the proud recipient of The Legal Project's Brigid Nolan Memorial Award for Pro Bono Service to Victims of Domestic Violence in 2016.